Wristwatches are a fun fashion accessory, and the choices are nearly endless. We think the classic look of the Fossil Jacqueline watch makes it a great everyday accessory that will add a touch of sophistication to your wardrobe for a budget-friendly friendly price. Smartwatches and high-tech fitness trackers are gaining in popularity, but there’s something to be said about the humble analog watch. Truth be told, there are plenty of traditional watches out there that aren’t all that humble in terms of price or style. Whether you want a timeless and understated look or you want to make a statement, there are plenty of watches to choose from — and that’s where the challenge arises. There is an overwhelming number of women’s watches to choose from in terms of both style and brand. We realize time is of the essence (both literally and figuratively) so we’ve scoured the reviews and done the research for you to find five different watches that look good, but won’t have you maxing out your credit card. All our picks for this guide come in at $150 or less, but even though they are budget-friendly, you won’t be sacrificing quality with these watches. 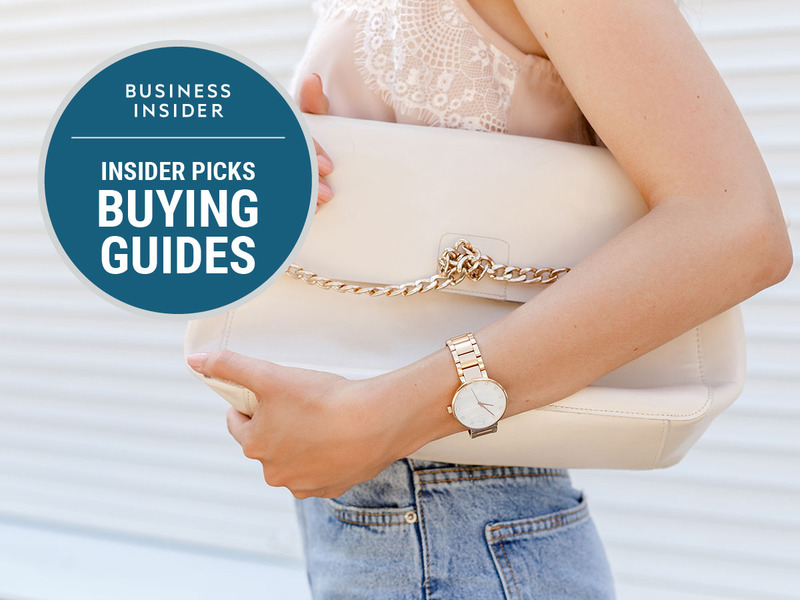 Read on in the slides below to learn why we love the Fossil Jacqueline watch and why we're also fans of the Kate Spade New York Metro watch, the Wristology Scalloped Boyfriend watch, the Mondaine Classic watch, the Fossil Virginia Stainless Steel Watch, and the MVMT Hermosa Watch. 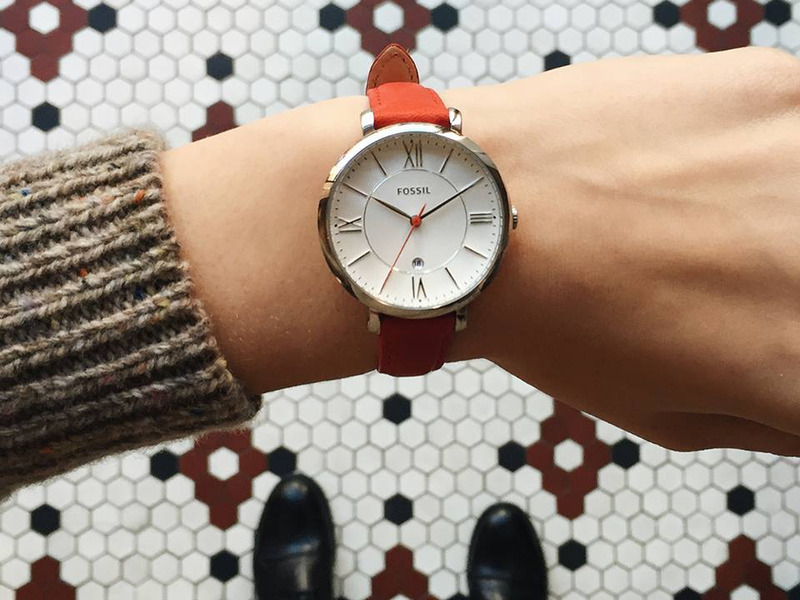 Why you'll love it: The Fossil Jacqueline watch is a classic go-to for everyday wear that can be dressed up or down. The Fossil Jacqueline watch has a classic Roman numeral watch face, a simple yet comfortable leather band, and a variety of neutral color combos to choose from making it the best watch for everyday wear. The dial of the watch face is subtly textured and keeps time with three hands and Roman numerals. A small window on the bottom of the dial will also tell you what day of the month it is. The medium case measures 36mm, but the slim band keeps it from looking overly bulky, so it's an ideal watch no matter your wrist size. It also comes in a wide range of colors, including silver and black, rose gold and navy, silver with pink, silver with brown, or rose gold with pink, so you can match it to the type of jewelry you wear and the colors you like best. Though this watch is described as having a classic style, in this case, the word “classic” shouldn’t be misunderstood as “old-fashioned.” The Jacqueline has been designed with a modern aesthetic kept in mind. If you want a watch that you can wear almost daily because it is versatile enough to be dressed up or down, this watch won’t fail you. I personally own this watch and find myself reaching for it often — especially when I want to pull together an outfit. It stands out just enough to get a compliment here and there, but it isn’t trying to win any trend-setting awards. While there’s certainly a place for fashion-forward accessories, it’s also nice to have the daily wardrobe staples. Think of this watch as the little black dress of your accessory collection. It’s a classic piece that won’t be going out of style anytime soon, and it's almost always guaranteed to look good. Durability and comfort are especially important in the watch you wear every day. Fossil is known for producing affordable, high-quality watches and other accessories, so have no fear about this watch's durability. It keeps time accurately with a quartz movement. The leather strap is comfortable, and it's compatible with any other 14 mm strap from Fossil if you want to switch it out. It’s also rated at 3 ATM for water resistance, so it will withstand splashes and brief submersion in water. It gave me some peace of mind that if I were to accidentally splash water on it while washing my hands, it wouldn’t mean the end of this timepiece. Overall, the Jacqueline has received positive reviews from buyers. Many dubbed it the “perfect every day watch” and say that “it looks elegant without being bulky” thanks to the slim band that accompanies the larger face. Some buyers with smaller wrists (including myself) did notice that the watch has a tendency to slip around. A slightly shorter band option for this would be ideal, but I found that when I have the strap adjusted to its smallest circumference, it minimizes most of the slippage. For me, this wasn’t inconvenient enough to take away from the many positives the Jacqueline has to offer. Its classic look and modern charm make it an accessory piece you’ll be able to count on, even as style trends come and go. Why you'll love it: The cute details of the Kate Spade New York 5 O’Clock Metro watch will add a touch of whimsy to any outfit. Fashion watches come in all sorts of styles, but Kate Spade has mastered the art of creating a watch that makes just enough of a fashion statement without being too over the top. The thoughtful little details present in the 5 O'clock Metro watch are a perfect example of that design aesthetic. The watch takes inspiration from New York City because Kate Spade has its roots in the city that never sleeps. Whether you’re the type who looks forward to happy hour with your friends and co-workers, or you prefer to unwind with your pajama pants and a glass of wine, you’ll still be able to appreciate the “It’s 5 o’clock Somewhere” sentiment of this watch. The charming details of the 5 O’Clock Metro watch make it a great accessory if you’re looking for a little something extra to add to your outfit. The face has “somewhere…” in script across the top, and a martini glass is cleverly placed at the 5 o’clock mark. The spade symbol, which is synonymous with the Kate Spade brand, is at the 12 o’clock mark. As a final touch, the second hand is covered with a striped design. It may be cute, but this watch is still functional and durable, featuring a leather band. The rest of the dial is marked with Arabic numerals and is easy to read, and the time stays accurate thanks to the quartz movement. This watch is water resistant to withstand splashes and brief submersion, but you won’t want to swim or bathe with it. Along with the whimsical details on the watch face, the thoughtful design continues with different color themes to choose from, including gold with white, gold with beige, gold with navy, gold with black, so you can find one that best suits your personal style and your wardrobe. The case measures 34mm across, putting it in the medium-sized category. Overall, buyers love the whimsical details and were happy with both the quality and the functionality. Some reviewers did complain that the leather strap felt a bit rough and stiff at first but loved everything else about the watch. Though this watch may not be as versatile as some, it makes just enough of a fashion statement and will add some fun to your everyday ensemble at a far more affordable price than most luxury fashion watches. Cheers to that! 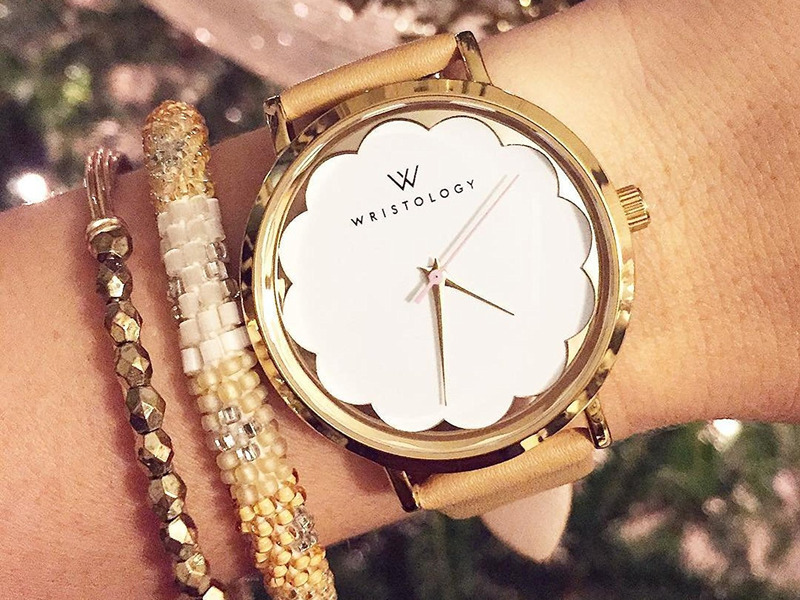 Why you'll love it: Wristology adds feminine appeal to a boyfriend watch that can be dressed up or down and offers style and functionality for an extremely affordable price. The Olivia Rose Gold Scalloped Boyfriend watch is all about style. While some boyfriend watches go the tomboy route with bulky features and a sportier look, the Olivia does the opposite. It features scalloped detailing on the outside of a watch face that has no numbers or indices which give it a sleek, modern appeal. Unlike many fashion watches, this watch also comes in under $50 — an affordable price for a watch that looks more expensive than it is thanks to the thoughtful design. Versatility is another winning point here that will allow you to make the most of an already affordable timepiece. This is the type of watch that can be dressed up or down, going from casual weekend wear to the office or a night out. It should be noted that if you have an especially petite wrist, you may find the 38mm case a little on the large side. However, if you want an accessory that will make a statement, and you want your watch to be one of the main focuses of your outfit, you won’t be disappointed with the Olivia. Since the dial of the watch doesn’t feature any time indicators, some may find it a little trickier to quickly read this watch. The scalloped pattern does correspond with where the numbers would be to make it possible to still read the time, which is kept with quartz movement for accuracy. The Olivia doesn’t skimp on durability either, which is a plus since this is meant to be a watch you can wear daily. The watch band is made of leather (some styles come with a patent leather band) for added durability, and the band can also be easily switched out for any other Wristology 18mm band, adding to its versatile nature. The Olivia also comes in multiple color options to go along with the rose gold case, including rose gold and gray, rose gold with black, rose gold with wine. It’s rated at 3 ATM for water resistance, meaning it can withstand splashes and brief submersion in water. However, like the other watches on this list, it isn’t meant to be worn while swimming or bathing. If anything does happen to your watch, it comes with a two-year warranty. Most buyers were happy with their purchase of this watch, but some did note that the ticking was louder than they’d prefer, and some buyers with petite wrists wished the band were smaller. Otherwise, most loved its versatility, the clean and simple design, and its reasonable price. If you want to add a stylish accessory to your collection without going over budget, or you plan on having more than one watch in your collection, this is an affordable way to give yourself options. The Olivia makes a fashion statement, but won’t make you cringe the next time you look at your bank statement. You can also check out Wristology's other watches. Jamie Dimon isn't sweating a short-term loss on the uber-popular Chase Sapphire Reserve credit card. It's not often that a CEO will announce a $200 million loss with a hint of pride, much less that they'll claim they wish the loss was twice as large. But that's exactly what JPMorgan Chase CEO Jamie Dimon did in January while discussing the impact of the company's insanely popular Chase Sapphire Reserve rewards credit card. Released last summer, the Sapphire Reserve generated intense interest because of an array of enticing benefits to cardholders, including triple points on travel and dining as well as a gaudy 100,000 point sign-up bonus — worth $1,500 — which the company slashed down to 50,000 points earlier this year. "The card was so successful it cost us $200 million, but we expect that to have a good return on it," he told CNBC. "I wish it was a $400 million loss." JPMorgan isn't the only player in the high-rewards credit card game. American Express has long offered generous sign-up bonuses and travel credits to holders of its Platinum card, as has Citigroup with its Prestige card. How can these companies afford to offer such lucrative perks to customers and still make money? In short: They're in the long game, and they're betting that the wealthy clientele who sign up for these type of cards will eventually be worth more than they cost to lure in. They're also betting that some of them won't be smart enough to take full advantage of the card. That's according to fresh research from UBS, which interviewed former payments industry executive Kameliya Vladimirova, who explained how the math can add up for these financial behemoths. • The client base is wealthy, low-risk, and ripe for offering other services. Some credit card users routinely carry a balance; others pay off their card every month. There's intense competition for the latter group, who tend to have incomes exceeding $100,000. JPMorgan says the average Sapphire Reserve holder earns more than $180,000 annually. They'll spend more on their cards and pose little risk for default. Moreover, they may provide new business to the bank by purchasing other financial services. • Processing fees. Every time the card is swiped, financial institutions collect a small percentage of the purchase. This is known as the "interchange rate," and it's slightly higher for these premier rewards cards — around 2.2%, according to Vladimirova. • Annual membership fees. Premier rewards cards usually come with a hefty annual price tag. The Sapphire Reserve, Amex Platinum, and Citi Prestige each charge $450 a year, though they also offer travel credits that offset this a bit. • Despite generally being wealthy and responsible, some customers will end up carrying a balance. Even though the type of customer targeted for these cards doesn't carry a balance, Vladimirova estimates roughly 20% will do so at some point. They tend to carry higher balances, too — she assumes $5,000, compared with the industry standard of $3,000 — which means the credit card company would generate significant revenue from the interest it charges on that balance. • Others will fail to take advantage of the card. Vladimirova estimates that 20% of rewards will go unused. Moreover, she assumes most customers won't exclusively use the card on purchases that trigger extra points. Travel and dining earns triple points for the Sapphire Reserve, but Vladimirova estimates that will only comprise 40% of purchases. By year two, credit card companies expect to turn a profit on the average cardholder, according to Vladimirova. You can see UBS' hypothetical example of revenues and costs on a high benefit card below. These projections assume only 40% of purchases will trigger triple points, and that 20% of rewards will go unused. Two assumptions that could throw off the profitability projections in this example are: 1) that only 40% of the purchases on the card will come from travel and dining, which earns cardholders triple points 2) that 20% of rewards won't get used. If either of those projections prove meaningfully off — if, for example, savvy cardholders use the Sapphire Reserve exclusively for travel and dining and put other costs on a separate cash-back credit card — it may take longer for these cards to reach profitability for JPMorgan. Amazon is known to discount its own hardware on a fairly regular basis, but there are some lesser-publicized deals the company offers that you can take advantage of all year long. These deals involve buying Echos devices in bulk, which is less crazy than it sounds at first. Whether you're looking for the best way to shop for your whole family in a single click, buy something for a friend who promises to Venmo you back so you can both save some money, or want to expand your smart home, these deals might make sense for you. The terms of these deals change, so this post will be updated regularly, but for right now all of the discounts are taken automatically at checkout. The Deal: The evergreen deals for the least expensive member of the Echo family, the Echo Dot significantly cut down the price of the device. Right now you can save $10 by buying two Dots at the same time, or $50 if you buy six at once. 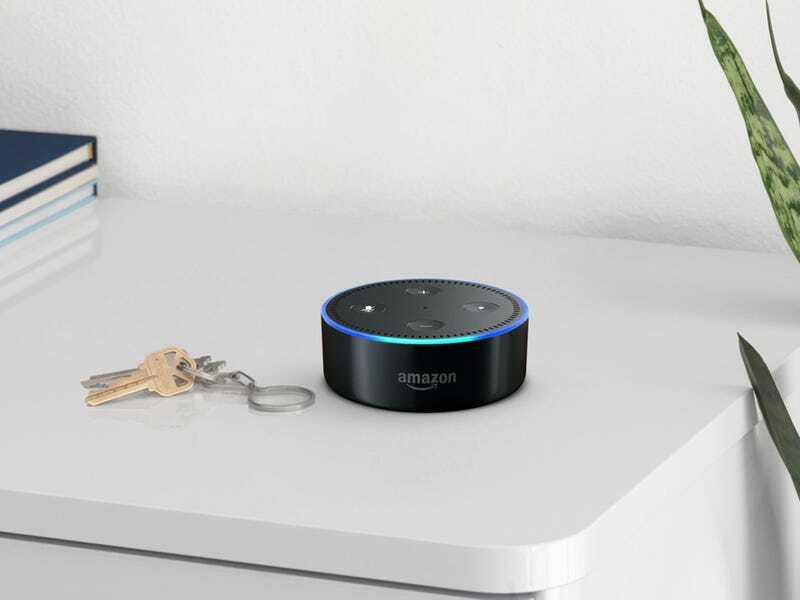 Why you should care: The Echo Dot is small, but just as capable as a full size Echo when it comes to controlling smart home accessories, learning skills, and answering questions. That means you can discretely set up Dots around your house to make every room smart, or help two people start their smart home for under $100. The Deal: The regular Echo is more expensive than the Dot, so the discounts you get when buying more than one is steeper. Buying two Echos saves you $30, and buying three saves you $50. 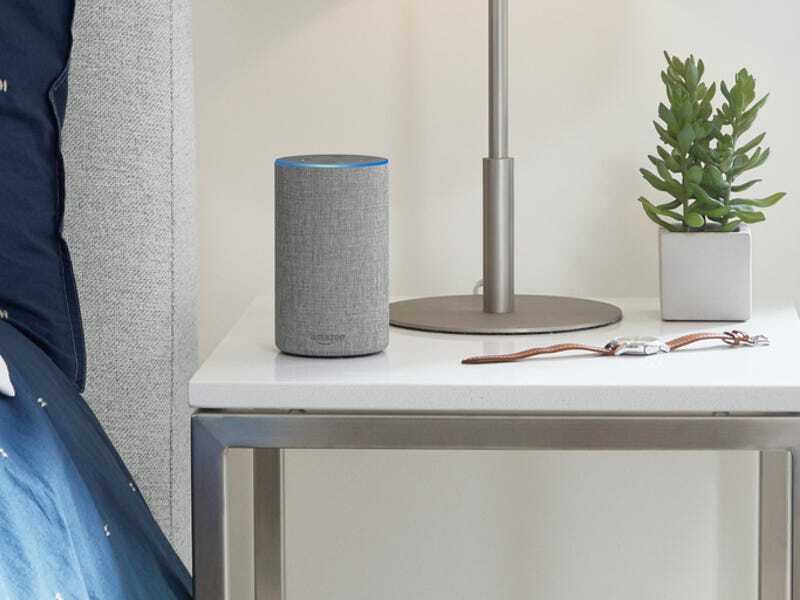 Why you should care: Although it's functionally identical to the Echo Dot, the full size Echo is larger and works better as a standalone Bluetooth speaker. 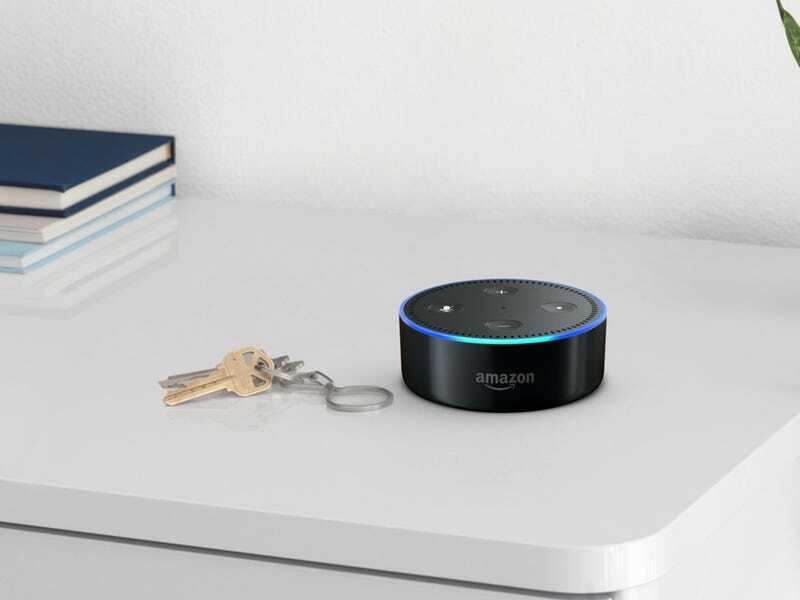 Stick one in the kitchen and let Alexa be your ultimate oven timer and unit converter, and another in the living room to act as your smart home hub. 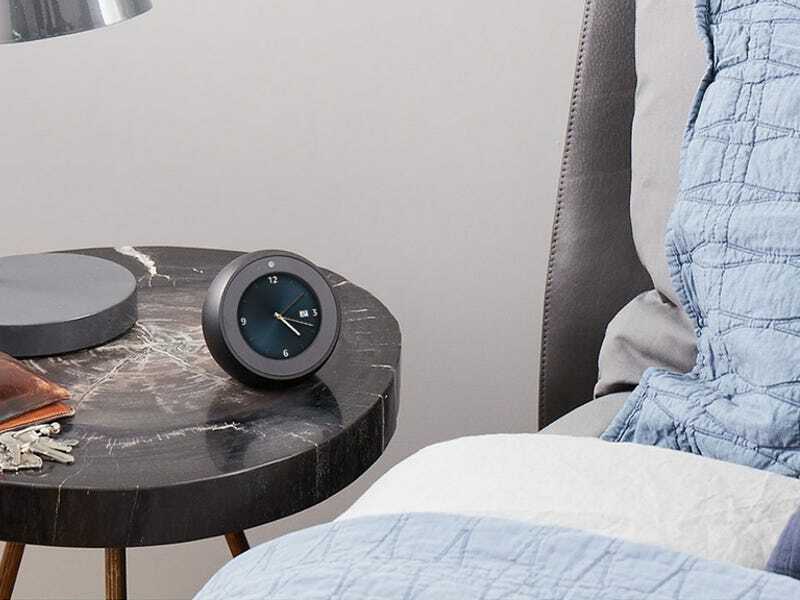 The Deal: The Echo Spot is the newest member of Amazon's Alexa-enabled family, but there's still a good deal to be had: You can save $40 by buying two at once. Why you should care: The Spot is a cross between the Echo Show and Echo Dot, marrying some of the best features of both. It's small enough to fit anywhere, but has a screen, so you'll want to keep it in a place you can easily see. The screen can be used to view footage from Alexa-enabled home security cameras, video news briefs, or information based on questions you've asked. The Spot also has a camera, which you can use to video conference with other Echo Spot or Echo Show owners. Buying two Spots means you and a family member can video chat for free without having to open a computer, which is pretty cool. Facebook plays the short, medium and long game on diversity and inclusion. Aubrey Drake Graham is an award-winning rapper, actor and entrepreneur from Canada. His initial success came from his 2001 role on the TV show Degrassi, as the character Jimmy. Seventeen years, four studio albums, and 96 awards later, Drake is still one of the most relevant and influential people of our generation. Drake's music focuses on his personal life, his success and failures in the music industry, and all of the lessons he's learned along the way. After listening to way too many Drake songs than I care to admit, I started noticing a lot of advice that would be great for startups and small-business owners. 1. "Know yourself, know your worth"
Self-awareness is one of the most important skills to have in business. Knowing yourself not only helps you separate your strengths from your weaknesses but it also puts you in a better position to delegate or hire someone else to handle those things you're not the best at. That's why it's very important to know yourself and know your worth in business. Lastly, the lack of self-awareness and self-worth normally leads to us under-charging for our products and services -- one of the quickest ways to go out of business. 2. "People with no money act like money isn't everything"
The dictionary definition of a business is "the purchase and sale of goods in an attempt to make a profit" -- as in, making more money than you initially invested. Sometimes it's easy for us to celebrate things like traction, funding and virality but at the end of the day, profit is what makes a business, an actual business. In fact, according to a U.S. Bank study, 82 percent of business failures are caused by lack of cash flow. So, in the context of business, money is everything. 3. "Never see me out 'cause I live in my workplace"
If you ask any entrepreneur, he or she will tell you building a business is one of the hardest things you'll ever have to do. It takes sacrifices, it takes mental toughness and most of all it takes time. If you want to be successful, you have to put in the time. Self-made millionaire Grant Cardone once said, "If you ever want to be a millionaire, you need to stop doing the 9-to-5 and start doing 95." Ninety-five hours per week, that is, which breaks down to 14 hours each day. Entrepreneur Gary Vaynerchuk, on the other hand, says he works 18 hours per day. 4. "It ain't about who did it first it's 'bout who did it right"
There's a big difference between being the first and being the best. Before Uber, there was Taxi Magic. Before Airbnb, there was HomeAway. Before Instagram Stories, there was Snapchat (too soon?). You get the point. We're all capable of coming up with great ideas, but at the end of the day, it's the way we execute on those ideas that really matters. 5. "You only live once"
Speaking of great ideas, some of us have had them for years -- ideas for companies and inventions that have the power to change the world. However, a lot of us find it difficult to pursue those ideas because of a four letter word: fear. To that, Drake and I say, YOLO! Related: Warren Buffett Inspired and Appeared in a Cartoon Series. Here's What I Learned Watching It. Life is all about facing your fears and taking risks. As an entrepreneur who has started, failed, ran and sold multiple businesses over the last 10 years, starting a new business is a scary thing. Entrepreneurship is like jumping out of an airplane and building your parachute on the way down, while being afraid of heights. But, life is short, and tomorrow is not guaranteed, so it's important that we live our best lives, today -- even if it means doing the things that scare us in hopes of finding the things that bring us true joy. Our latest speaker for GamesBeat Summit 2018 event is Eliot Peper, science fiction writer and author of the upcoming novel Bandwidth. The event will take place at the beautiful Claremont Resort in Berkeley, California, on April 9 and April 10. Our conference is all about making games better and improving the business, and our latest speakers should give us a window into the future of game technologies. Last year, Peper spoke with venture capitalist Tim Chang about “Are we living in science fiction?” This year, he’ll speak in a fireside chat with John Hanke, the CEO of Niantic and co-creator of Pokémon Go and Ingress. They’ll talk about the crossover between real life and science fiction, and they’ll predict what kind of future technology will create for gamers. Above: Eliot Peper (right), author of novels such as Cumulus, speaks with Tim Chang, managing director of Mayfield Fund, at GamesBeat Summit 2017. Peper has a new book, Bandwidth, coming out on May 1. It’s a near-future thriller that explores the geopolitics of climate change and how algorithms shape our lives. The book addresses themes such as gamifying diplomacy, how social media impacts decision making, hacking broken systems, and the collision of tech and politics. Peper said that his friend Tim Chang, managing director at Mayfield Fund, had a lot of influence on the story of Bandwidth, as the two of them had numerous discussions about the future of technology. Peper and Hanke will talk about the intersection between the real world and fiction on various technologies such as augmented reality. Peper is also the author of Cumulus, Neon Fever Dream, and the Uncommon Series. He’s an editor at Scout and has helped build various technology businesses, survived dengue fever, translated Virgil’s Aeneid from the original Latin, worked as an entrepreneur-in-residence at a venture capital firm, and explored the ancient Himalayan kingdom of Mustang. His books have been praised by the Verge, Popular Science, Businessweek, TechCrunch, io9, and Ars Technica, and he has been a speaker at places like Google, Qualcomm, and Future in Review. We’ll touch delve into the strategies of the future for gaming, and how to drive excitement, growth, and new startups. Our talks will feature augmented reality, virtual reality, esports, influencers, mobile games, core games, indies, new game technologies, and the connection between games, tech, and science fiction. We want to expose you to ideas like The Leisure Economy, where everyone in the future will be able to make a living playing games. Our previously announced speakers include Andrea Rene, game host; Aaron Loeb, president of FoxNext Games Studios; Philip Rosedale, CEO of High Fidelity; Janina Gavankar, lead actress of Star Wars: Battlefront II; congressional candidate Brianna Wu; Tencent’s Dan Brody, vice president of business development at Tencent; Rand Miller, co-creator of Myst and Riven; John Underkoffler, CEO of Oblong Industries and science adviser for the influential sci-fi film Minority Report; Amit Kumar of Accel, a venture investor; Jon “Neverdie” Jacobs, CEO of Neverdie Studios. Josh Yguado, president and chief operating officer of Jam City; Matt McCloskey, vice president of commerce at Twitch; Joost van Dreunen, CEO of SuperData Research; Nick Earl, CEO of Glu; Mike Vorhaus, president of Magid Advisors; Michael Metzger, investment banker at Houlihan Lokey; Chris Heatherly, head of NBCUniversal’s new game business; Debbie Bestwick, CEO of Team17; Perrin Kaplan, principal at Zebra Partners; Stephanie Chan, writer at GamesBeat; Bill Roper, chief creative officer at Improbable; and Paul Bettner, CEO of Playful, the creator of the VR titles Lucky’s Tale. Sponsors include: Intel, Appodeal, Accel, Streamlabs, Yomob, Wargaming, Worldpay, Altered Ventures, and Gfycat. The first huge battle royale shooter has finally left Early Access on Steam, and it is getting a new vehicle-only mode to go along with this release. Publisher Daybreak has launched the 1.0 retail version of H1Z1 for $20 on Valve’s digital distribution platform. After starting as an online survival sim (now called Just Survive), Daybreak added a last-player-standing competitive mode with the help of Brendan “PlayerUnknown” Greene — this was before he left to create PlayerUnknown’s Battlegrounds with Bluehole Studios. H1Z1 is a fast-paced battle royale shooter that exists somewhere between PUBG and Fortnite: Battle Royale on a gameplay spectrum. Unlike those others where using a vehicle is sometimes viable (PUBG) or not even in the game (Fortnite), H1Z1’s matches have a heavy emphasis on using cars and trucks. Daybreak is now building on that with its 1.0 release in the form of the vehicle-only Auto Royale mode. Here’s how the Auto Royale mode works, according to the developer. H1Z1 is getting more than Auto Royale, though. Daybreak is delivering a slew of improvements including the option to finally choose where you drop on the map, a new minimap, and a ton of new cosmetic content. PUBG and Fortnite came in and ate H1Z1’s battle-royale lunch, but Daybreak still has a chance to keep its game relevant and profitable. It will need regular updates beyond this to accomplish that, and version 1.0 is only the start. Millions of people are planning to quit their corporate jobs and work for themselves over the next few years, according to a new survey by Freshbooks, the cloud-based accounting software firm. The survey of 2,700 full-time employees, conducted at the end of 2017 in cooperation with Research Now, shows the number of Americans who plan to work for themselves could triple to as many as 42 million workers by 2020. That's an increase of 27 million workers who say they are ready to abandon traditional work for full-time self-employment. Of this number, 42 percent are expected to be Millennials. But are people really happy once they've struck out on their own? Apparently they are, according to the survey. Overall, self-employed professionals enjoy greater career satisfaction than those with traditional jobs: 71 percent versus 61 percent holding down a traditional role at a company. And this satisfaction gap widens further as workers age, with the gap reaching as much as 30 percent between the self-employed cohort and the traditionally employed cohort. Apparently, the combination of a better work-life balance, improved health, and more income makes life as an independent professional all the more attractive over time. And once they've left the 9-to-5, people don't want to go back: 97 percent of professionals who are currently self-employed said they have no plans to return to a corporate job. President Donald Trump on Wednesday slammed Attorney General Jeff Sessions for tapping an Obama-era inspector general to investigate FISA abuse claims. Trump asked why Sessions wasn't using Justice Department lawyers instead. Sessions announced Tuesday that he believed it was "the appropriate thing" for the inspector general to take on the investigation. President Donald Trump on Wednesday lashed out once again at his Attorney General Jeff Sessions, enraged that Sessions asked the Justice Department's Obama-era internal watchdog to investigate allegations of surveillance abuse rather than using the department's own lawyers. "Why is A.G. Jeff Sessions asking the Inspector General to investigate potentially massive FISA abuse," he tweeted, referring to surveillance warrants granted by the Foreign Intelligence Surveillance Court. "Will take forever, has no prosecutorial power and already late with reports on Comey etc. Isn't the I.G. an Obama guy? Why not use Justice Department lawyers? DISGRACEFUL!" Sessions announced Tuesday that the Justice Department's inspector general, Michael Horowitz, is investigating House Republicans' claims that the FBI abused its authority in seeking a surveillance warrant for a former Trump campaign adviser. President Barack Obama appointed Horowitz in 2012, and the Senate approved the pick. Trump hasn't nominated anyone for inspector general, so Horowitz has stayed on the job. An infamous memo by House Intelligence Chairman Devin Nunes outlined accused US intelligence agencies of FISA abuses. House Democrats released their own memo countering Nunes' claims on Saturday, arguing that the Justice Department and FBI provided ample evidence to the Foreign Intelligence Surveillance Court that justified seeking the FISA warrant. 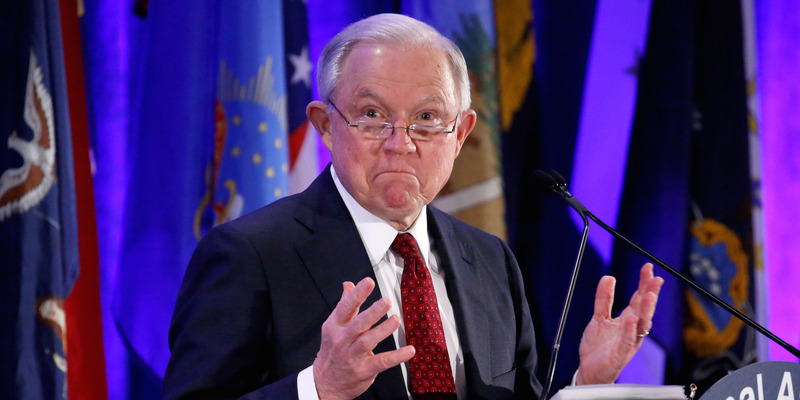 "We believe the Department of Justice must adhere to the highest standards in the FISA court, and yes, it will be investigated, and I think that's just the appropriate thing," Sessions said at a news conference Tuesday, adding that the inspector general would lead the investigation. Trump's tweet on Wednesday was far from the first time he publicly attacked his own attorney general. Trump went on a days-long Twitter rant last week, demanding to know why Sessions wasn't investigating Obama in connection to the investigation into Russia's election interference. Trump has also publicly berated Sessions for months over his decision to recuse himself from all matters related to the Russia probe and the 2016 presidential campaign. Trump has previously said he wouldn't have nominated Sessions for the Attorney General post had he known Sessions would recuse himself. Europe is making major strides when it is comes to protecting its citizens' personal data. With big data becoming a commodity, even referred to as our next natural resource, one has to assume that our personal information is very much a part of businesses big data play. From your contact information to your search history, your personal data is being bought, sold, and leveraged to increase business' bottom lines. Oftentimes, without you even knowing about it. The European Union (EU) wants to give its citizens more control over their data. To do this, they passed the General Data Protection Regulation (GDPR). And it is affecting American business more than anticipated. According to an independent survey by Vanson Bourne, 52% of US companies possess data on EU citizens which could make them liable to the new regulations. What this means is that every company in the world with customers in the EU, employees in the EU, or any company that markets to the EU needs to comply. Consider the following examples. Do you have a web presence in the UK? Do you have an employee or contractor in the UK? Have you ever collected or bought an email that ends with ".uk"? Does your team target ads to countries in Europe? All of these examples and hundreds more prove that businesses must act fast to secure compliance. The initiative first started in 2012 when the European Commission announced its intentions to launch a data protection reform in order to prepare Europe for the digital age. At this time, I was asked by the British consulate to travel to London to discuss how UK companies can collaborate more effectively with Silicon Valley (and the rest of the US). We met with several companies, including law firms to discuss how we can do a better job of keeping our customers' data safe. Fast-forward to today. Organizations operating within the EU, as well as organizations operating outside the EU that collect any personally identifiable data of users in the EU, must comply with GDPR rules by May 25th of this year. Because GDPR adopts a particularly liberal view in terms of what constitutes "personal data" (ranging from users' Social Security numbers to IP addresses to website cookie data), many organizations are impacted. The fines for noncompliance can be painfully high. GDPR outlines five core changes related to ways in which organizations collect and protect users' personal data. First, organizations must obtain user consent to collect data (under GDPR, pre-checked opt-in boxes are outlawed). If an organization markets directly to consumers, a positive opt-in is required. Second, users are afforded the "right to be forgotten". That is, they can request that all personal data that is collected on them be deleted. Third, users are given the right to transfer their data to other vendors. Fourth, organizations that meet certain criteria are required to appoint a data protection officer (DPO). Finally, organizations must notify users if a security breach has occurred that is likely to "result in a risk to the rights and freedoms of individuals." Some startups are especially struggling to comply with GDPR. Many have heard the warnings, yet have neglected to act. According to Martech, only 1/3 of startups are GDPR-compliant (compared to 70% of enterprises, globally, according to a study conducted by IAPP). While some forward-thinking startups are ahead of the pack (MailChimp, Amplitude, and Segment have all publicly announced their commitment to GDPR), these are the exception, not the norm. Working at a fast-paced scaling startup, acquiring and marketing to Europe often is the logical next step in growth. As Thomas L. Friedman explained in his best-seller on globalization, The World is Flat, technology has enabled us to go global with just a few keystrokes. At my current startup, we became international rather quickly and unintentionally, as our product became viral. Since we have high profile clientele, we chose to prioritize privacy and bake in GDPR principles before our first sale. We also leveraged 3rd party solutions like, TrustArc, to better navigate the complexity of privacy compliance. There's no one-size-fits-all strategy for compliance. GDPR compliance is not a fixed point-in-time challenge; it is an ongoing process that will endure for the life of a business. Each startup will need to determine how it is affected by the new regulation. This will depend on its size, as well as the type of personal user data it collects. The UK's Information Commissioner's Office (ICO) has explained, "You are expected to put into place comprehensive but proportionate governance measures...Ultimately, these measures should minimize the risk of breaches and uphold the protection of personal data." The ICO has outlined a helpful list of 12 steps that all organizations, including startups, should take to prepare for GDPR. The EU is definitely leading the charge for giving consumers back the controls over their personal data. I think that it is a trend that many other countries will follow in the coming years. Taking the time and resources needed to comply with these regulations will not only allow you to do business appropriately in the UK, but will also better lay the foundation for new restriction we can expect to see in the future.